How could an animal run fast using blade-like feet that sink into spongy ground? In my fictional planet, forests grow not on soil, but on vast spongy mats of fungi. Traditional Earth-like feet would struggle to get grip on the squishy ground, so most megafauna taxa have feet like blades that cut into the fungus. On this world, however, I want to have cursorial predators, like cheetahs, with high speed and agility. The thing is, I'm not sure if the "feet sinking into ground" idea would impair their speed. So, what I'm asking is: How would such a (quadrupedal) predator run, and what anatomical/morphological adaptations would it have to do so? 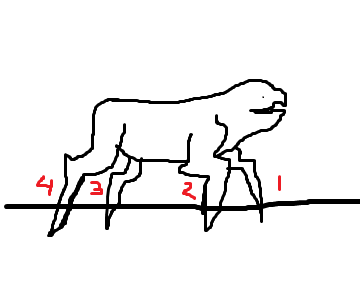 On the diagram below (Note: that is not what the creature actually looks like) I've labelled the respective feet 1, 2, 3 and 4. Which style would be more suited to running with blade-like feet in springy, spongy ground? Then, the second part of the question was "What anatomical/morphological adaptations would it have?". By this, I basically mean stuff like the shapes of the blade, overall build, spikes on the blades for grip, etc. Answering with A) Which running style, and B) Morphological adaptations, what is the closest the creature could get to those abilities? Gigantic Quad Inverted Opposable Dewclaws with a curved elongated spade shape that conforms to the limb during full compression. A feline's hind legs store an amazing amount of energy when they are compressed during a stride. These dewclaws would do the same thing and help the limb explode from the soft ground, because they are compressed as they enter the hole created by the limb. You can keep the toes if you want. I just Xed them out for illustrative purposes. This would be such an advantage over those waddling around with webbed feet that this creature would be at the top of the food chain and likely also the fastest land animal on the planet. Kinda like using a lever action post hole digger, backwards. If you stick it in the ground with the jaws closed and then open them, it'll pop back out of the ground. Or at least it would, if the hinge was (inverted) at the tips of the blades. How you're going to convince Nature to build that is on you, but I certainly wouldn't put it past her. Feet adapt to the environment, and squishy ground requires a large surface area. 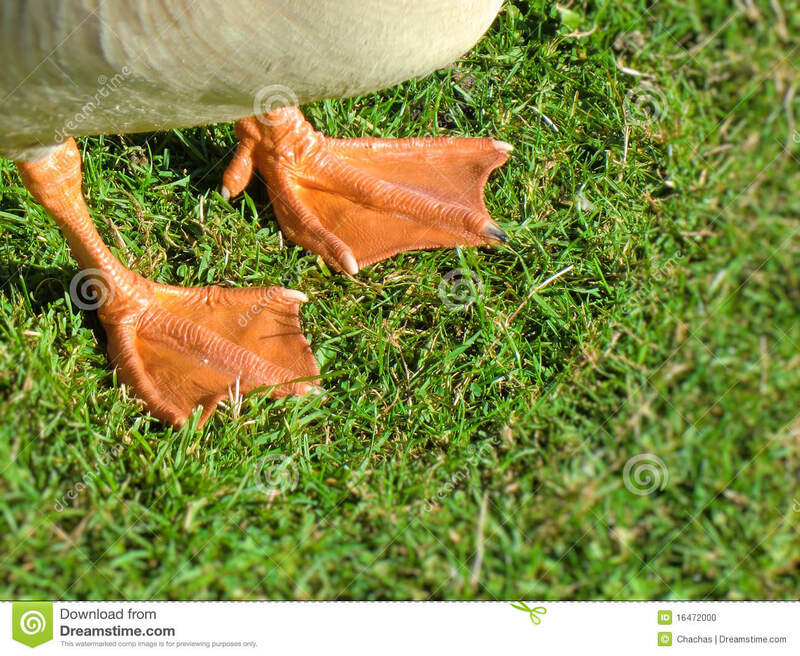 Consider the duck: webbed feet to provide large surface area to not sink too far, and claw toes to provide grip. so most megafauna taxa have feet like blades that cut into the fungus. That's the worst possible design, since it'll quickly chop up the ground and you'll sink even further. You're actually looking to solve this issue in the exact opposite way that would be effective. Bladed feet on a soft mushy surface would result in a "spinning-car-tire effect", as the blades would cut right through the mycelium like butter, . The trick is actually to look at ways of locomotion that create as little friction as possible, much like the act of sidewinding seen in desert snakes. If I were you I would research the different types of locomotion used by various Desert Fauna here on earth, (as loose sand is a lot like the mushy fungi you are thinking of) like the sidewinder snake and the frilled lizard. I would also take a look at the Jesus Christ Lizard (I know, you'll know why they call it that when you see it.) for inspiration. IMO, the types of predators that would hunt in a Biome covered in soft fungi would most likely be fairly sedentary, and then when prey comes near, use quick bursts of energy to catch said prey if it gets too close. Moving around constantly in an environment like that would require a lot of energy, as you would have to constantly contend with the mushy ground. It would be like trying to run through Jello everywhere you went. I'm no expert. I just saw this in hot stack questions. That said, I see everyone is disagreeing with the blade idea and I think they're right, but I wanted to offer you another solution/perspective. 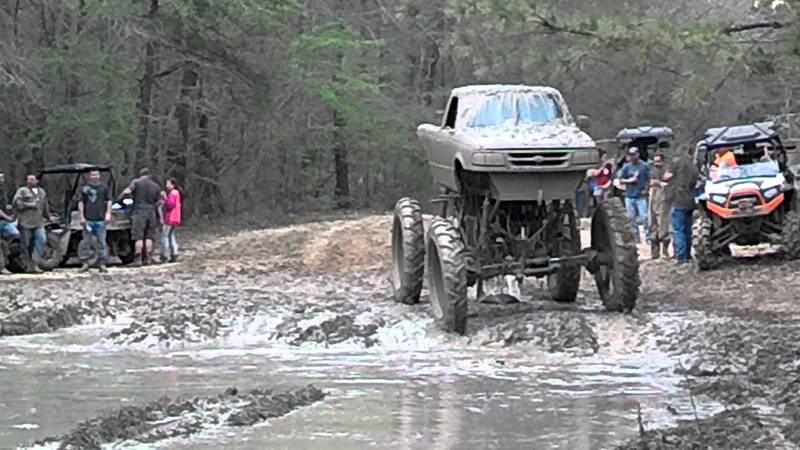 When traversing mud in a truck, you might use wide tires and high speed to skim the surface. Or you can choose tall narrow tires to cut through the mud into more solid ground below. The problem you are trying to solve is the same problem faced by predators on our world. The ground on most biomes may not be mushy, but many kinds of soil are unforgiving for running creatures that don't have proper gripping. They also have semi-retractable claws which grip the ground, giving them traction whilst they run. The animal you drew might have quite the grip, but placing those legs in the ground, and removing them, might take quite a while. A predator with claws that are short, sharp, and in large numbers will also have grip, and will be able to both run and change direction much more easily. Those same claws are also very good for slashing prey dead. A) I don't have the math and biology in me to say which running style is better, but I think the cheetah's will provide more grip per stride. So I'm going with cheetah. B) Cheetahs might fare very well in this world, and if introduced there as an alien species they might unbalance the local ecosystems. Any further adaptations would probably be physiological rather than anatomical, in my opinion. if those points are that big they will not be moving very fast, they will not be able to pull those out at the end of stride without being slowed down significantly. There is such a thing as too much traction for running creatures. Second blades make for poor grip, traction claws are triangular with a flat side towards the ground for a reason. Claws that cut make for very poor traction. the slow part of the stride would be the digging the claws into the ground. 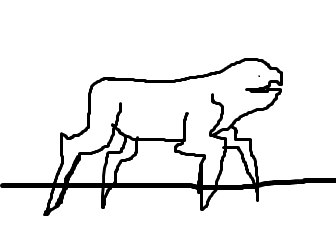 The creature counteracts this by taking longer leaps like a toad, The creature would bury its claw into the mud then pull back on elastic limbs to catapult its self forwards. This is similar to the mantis shrimp’s hammer. 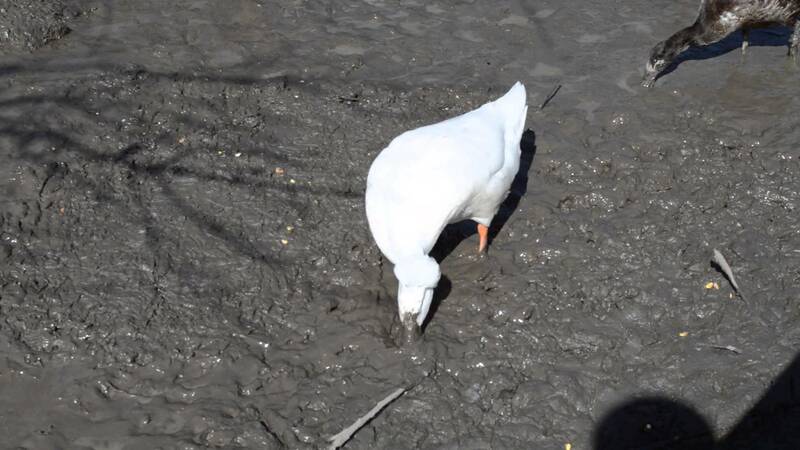 the claws are flat on the back to prevent them digging into the mud and sharp on the front to allow them to quickly slice out of the mud that has pooled around it since the last claw hit the mud. I like the sedentary predator idea that was posted earlier. There are quite a few options. Make it like a huge trapdoor spider, or give it HUGE feet and really good camouflage, and when the prey gets close it leaps and tackles it. Rotate the bladed feet sideways so they turn into fat paddles that spread weight. When it wants to cut the surface, it just stands on tiptoe. I don't know how well this would fit in to your world, but maybe their legs could be long enough to reach some solid ground and just walk like that. Or, instead of using the ground, they could rely on tree roots for solid footing to get around. Let's work from your premise that spikefeet are the best way to walk along this fungal sponge. A cursory computation tells me that the structure of the sponge makes it much more compressive in the downward direction than it is horizontally: standing on it is like standing on a trampoline or waterbed. However, if you were to slice out a cube of the fungus, and rotate it so that the former top is now facing to the horizon, you would discover that the cube is firm enough to bounce pogo atop it. Caveat: I did not model or test any of this. I seems like it could work, but probably would not. Maybe it would require tweaking the conditions or method. Spikefoot penetrates the top surface of the fungal sponge. Spurs along the spikefoot, tips pointed downward, are pulled outward with the friction of the fungal sponge. Mechanisms at the hinge of each spur store energy. Springs operate with a linear i.e. curveless conversion of kinetic energy to potential energy, so you might want a system of hydraulic compression which increases the amount of energy required to unfold the spur exponentially. However, there is a reason why springs are springy but hydraulic cylinders are not. Gaseous, maybe? As each spur penetrates transversely to the main spike, the area of the cisverse force downward is spread wider, causing the spike to gradually cease penetrating and begin compressing the fungal sponge. Would the spurs simply tear away at the fungus and dig a hole into which the foot would sink? Well, for the fungal sponge to be compressive in one axis but not a perpendicular one tells me that its structure is densely packed in the vertical layers but loose in the horizontal layers. However, for the spike to penetrate vertically, it would need to displace the fungus sideways. Doing so could only work if the displacement was redirected vertically i.e. up and down — where the sponge is compressive. For such to happen, and for the fungus to not simply turn into a big mush, would require that the sponge is also very strongly cohesive along the horizontal layers. Seems to me that spikes, therefore, would easily penetrate vertically but not horizontally. As the spurs tend to horizontal, their penetration is arrested and the spikefoot halts. Total penetration is balanced by the heft or weight of the creature, the force exerted horizontally by the spurs, and the pressure of the mechanism at the base of each spur. 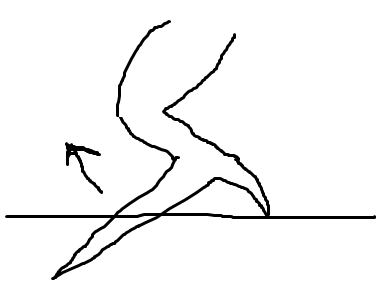 Slower gait is achieved by inserting each foot, then withdrawing it. To spring forward, the foot is forced downward farther with each step. However, this would be much slower than if the compression of the fungal sponge was used like a trampoline. Such movement might not be feasible with a sponge that doesn't compress horizontally. It's good to stab the ground for traction, but only up to a point. If you sink in far you are wasting energy. 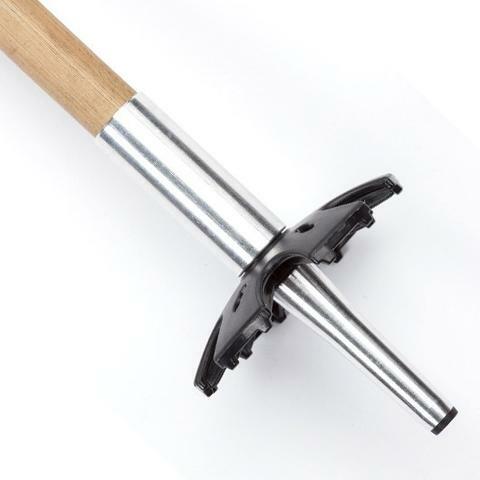 Once you've got traction you want the sinking/stabbing to stop, so you need a flare like the end of a ski pole, that is flat and wide to resist sinking any further. The stabby part probably wouldn't need to be very long. If the moss is more mushy, you want a multi-pronged or thicker stabby part. A longer stabby part just adds more friction and gets you stuck in the goo. Not the answer you're looking for? Browse other questions tagged creature-design physics xenobiology fauna or ask your own question. 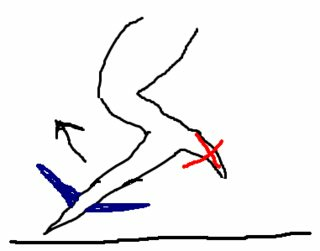 What would be the ideal terrain for promoting the evolution of blade feet that sink into the ground? What would be the best fighting styles for a humanoid with a low center of gravity? What would happen to a high-pressure creature in a low-pressure atmosphere (50atm)? Could a predatory semi-sentient species survive, in the long run, without the emotion of fear? What would be the physiological/anatomical adaptations of a 50 metre sea serpent? 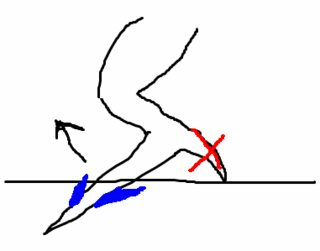 What type of feet should semiarboreal humanoids have?